No one should have to lose their home, their life savings, and even their very life, because of lack of medical insurance. 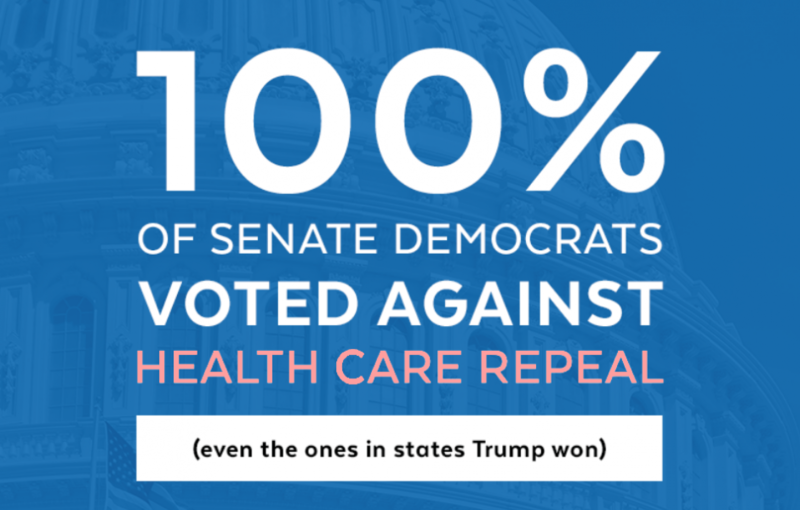 While very nearly the entire Republican caucus in the Senate voted to take away health care from millions of Americans last Friday, every single Democratic Senator voted to save it. This highlights a basic philisophical difference between Democrats and Republicans. While Democrats want to extend health care to all Americans, Republicans have no moral reservations over taking it away en masse.